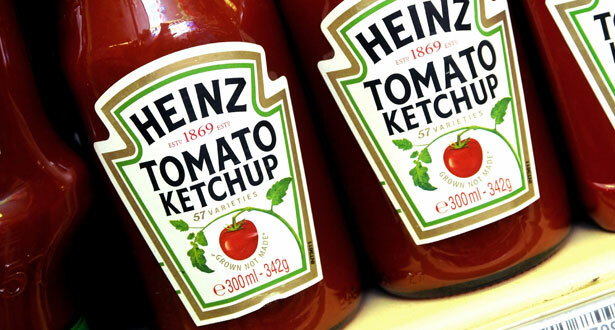 The humble ketchup has come under fire from authorities in France, who believe it poses a cultural threat to traditional French cooking among children and “masks the taste of whatever they are eating.” As of this week, it’s banned in primary schools. You either love it or you hate it – and as far as Denmark is concerned, it really hates marmite. Why? The yeast extract defies a 2004 law that restricts food products fortified with vitamins, apparently. The raw version of this Jamaican fruit is banned from import to the United States because it contains toxins that may block the body’s ability to produce an extra supply of glucose. This in turn, can lead to a low blood sugar level and potential death. Canned Ackee was banned for years in the US but is now legal – although is import is carefully monitored and the raw fruit is still liable to be seized. Jelly sweets may seem innocuous enough – but those made from a thickening agent called konjac are banned from import in the UK and the rest of the EU, on the basis that they pose a choking hazard. However, the same sweets are widely available in Japan and the Far East. A traditional delicacy in Scotland, haggis is banned in America due to a law against sheep lungs in food products. Unsurprisingly, the Scottish government is keen to see the 40-year veto overturned and has invited a delegation of US officials to the country in an effort to resume imports. Enjoyed the world over, these spicy triangular snacks have been banned in Somalia after the country’s al-Shabaab group deemed them “offensive” and “too Christian.” Militants used loudspeakers mounted on trucks to announce the ban in July, in the regions they currently control. No other explanation was given for the veto. Unpasteurised milk is banned in 22 states in the US and Canada over concerns about germs – this despite the fact that it is widely available in Europe, Africa and Asia, with advocates insisting it is actually very healthy. Slaughtering horses for human consumption is illegal in the US, although it is not against the law to consume horse meat. Neither is it in the UK but the food remains a taboo, with Gordon Ramsay attracting virulent criticism for suggesting it be re-introduced to restaurants. In France, Italy and other countries in Europe, it is considered a delicacy. Traditional Absinthe was banned for many years in the US and Europe because it contains large concentrations of wormwood, a plant containing the chemical thujone, which can induce hallucinations and affect mental health. The ban was lifted in the 1990s in Europe but in its rawest form, Absinthe remains technically illegal in the States as a food product controlled by the US Food and Drug Administration.